Attending college is a decision that requires a lot of planning, especially when it comes to covering the cost of tuition, room and board, and other fees. The cost of attending college increases each year, making it necessary for students to conduct detailed research to find possible college funding sources. Because there are so many options available, this can be a confusing task for students and their parents. Every program has different eligibility criteria and deadlines, making good organization essential for success. Even students who have already graduated from college may be confused by all the student loan repayment options. Some may even have difficulty repaying their loans due to economic hardship. The following resources will help high school students, current college students, and college graduates better understand the funding options and student loan repayment plans available. Get Money for College: This page from the U.S. Department of Education explains the different types of federal loans available and outlines the eligibility requirements for receiving federal financial aid. Stafford and Graduate PLUS Loan Information: This resource explains the terms of Stafford and graduate PLUS loans. Federal Perkins Loans: This resource explains the low-interest federal Perkins loan program, particularly the eligibility requirements for this type of loan. Parent Loans: This page describes the four-step process required to apply for a parent PLUS loan. How to Apply for a Scholarship: This article from the College Board outlines the steps high school students should follow when applying for college scholarships. Federal Pell Grant: This site explains the eligibility requirements for the federal Pell grant, which can be used to pay tuition and fees for college. Federal Supplemental Educational Opportunity Grant: This resource details the eligibility requirements for the federal SEOG. An Introduction to 529 Plans: This article from the Securities and Exchange Commission explains the advantages of using a 529 plan to save for college. The Four Types of Aid: This resource provides information about the four types of college aid: grants, loans, scholarships, and work-study. Federal Work-Study (PDF): This detailed document explains the terms and requirements of the federal work-study program. 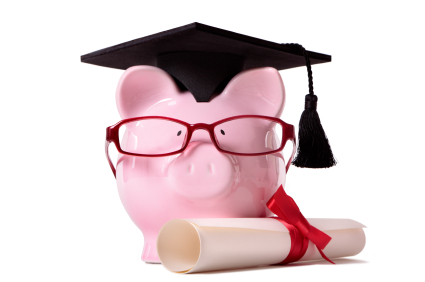 Student Loan FAQ's: This resource answers the most common questions related to student loans. Scholarships, Grants & Loans: This article discusses the difference between need-based financial aid and aid that is given without regard for financial need. Types of Financial Aid: This article from New York University lists several types of financial aid available to college students. It also lists special aid available to students pursuing nursing or other health careers. Education Lenders and Student Loans: This chart lists private student loan lenders, the types of loans they give, and their contact information. Send Your Kid to College Without Going Broke: This article lists several ways to reduce the cost of a four-year college education. Paying for College Student Resource Guide (PDF): This 56-page book is designed to help students manage multiple deadlines associated with paying for college. Paying for College: A Guide for Students and Parents (PDF): This guide explains the different options available for funding a college education. Consolidation: This resource explains the options available for student loan consolidation and list the terms for each type of consolidation. Repaying Student Loans Quick Reference Guide (PDF): This guide to student loan repayment offers tips for repaying loans on time and explains the different types of repayment plans. Income-Based Repayment (IBR): This resource explains the requirements for enrolling in an income-based student loan repayment plan. The Federal Income-Contingent Repayment Option for Law Student Loans (PDF): The author of this article discusses the option of enrolling in an income-contingent repayment plan after graduating law school. Student Loan Repayment: This resource explains the loan repayment process and offers tips for monitoring loans and making loan payments. Managing Your Loan: This article explains what to do if repaying student loans becomes difficult. It also explains the rights of student loan borrowers and the options for loan repayment. Federal Loan Deferment, Forbearance and Forgiveness: This article discusses the options available to those having difficulty repaying their loans due to financial hardship. Loan Forgiveness for Public School Employees Including School Psychologists (PDF): This resource explains the loan forgiveness options available to some professionals who work in public schools. Student Loan Repayment Plans (PDF): This resource contains a chart that breaks down the terms of each student loan repayment plan. It also explains each plan in detail. Student Loan Forgiveness and Repayment Programs (PDF): This article provides an overview of the student loan repayment and forgiveness options. College $ense: How to Pay for College: This interactive website walks high school students through the process of applying for financial aid and finding other ways to pay for college. Your Free Scholarship Search: This scholarship database matches students with need-based and merit-based scholarships. Start Your Free Scholarship Search Today: This database allows students for scholarships based on several different criteria. An account is required, but it is free to register. Repaying Your Student Loans (PDF): This resource explains the different types of repayment plans. It also explains what to do if it is difficult to make student loan payments on time. Top 10 Ways to Get Money for College: This article discusses the top 10 ways available for students to fund their college educations. Getting Money for College (PDF): This guide from Florida College explains how to search for scholarships and other sources of financial aid. A Guide to Federal Student Aid 2011-12 (PDF): This detailed guide provides an overview of the student aid federal program and explains how to go about applying for federal financial aid. College Funding for Students with Disabilities: This article discusses the college funding options available to students with physical and psychological disabilities. Tips on Applying for Scholarships: This resource offers several tips for applying for college scholarships. Starting early is one of the most important tips offered. Undergraduate Guide to Federal Work-Study: This comprehensive guide answers some of the most common questions about the federal work-study program. Tips for Alternative Student Loans: This guide offers several tips for those who plan to apply for private college loans. Tips on Completing Scholarship Applications: This resource offers tips for completing applications in a way that improves the chances of receiving a scholarship. It also has worksheets available for students to use in the scholarship application process. Funding Education Beyond High School (PDF): This guide offers a detailed look at the many funding options available for college. It also includes a list of helpful resources for students and parents.